Rise in Rage against the Nilambur fake encounter by CPM government in Kerala! Elimination of people’s activists can never douse the flames of resistance against corporate loot and plunder! If one were to wonder whether the cold blooded killings of more than 30 Maoists and adivasis in Malkangiri by a combined team of Andhra Grey Hounds and Odisha’s Special Operation Group last month stirred up the ‘collective conscience’ of parliamentary left, the answer lies in the murder of two Maoists in Nilambur jungles of Kerala. Unlike Andhra or Odisha, Kerala is supposedly under the rule of a “Communist party” committed to Marxism and people’s struggles. But this “people’s government” has its own variety of specialized anti-Naxal police force – “Thunderbolts” – to brutally repress people’s movements. On the morning of 24th Nov, two Maoists Kuppu Devraj and Ajitha were killed by the Thunderbolts police force in in Nilambur in the Malapparam district. As is the usual practice, stories of cross firing and police being forced to retaliate in self-defence were planted in the media by the police. Interestingly, in this supposed gun battle not a single police man was injured while they successfully eliminated two militant activists. The local villagers have also said that they did not hear any sound of gun fire – all of which indicated to a unilateral attack by the police. The state’s story was so ridiculous that it failed to convince anyone, even its own allies in government. While Kerala CM Pinarayi VIjayan continues his silence, CPI leaders have strongly condemned the killing and warned him against aping Modi’s methods. Several human rights bodies too have come out in strong indictment of the govt calling this a pre-planned killing and condemning the militarization of several parts of Kerala. It is not surprising that this killing comes at a time when for the last few years the Western Ghats region is being opened up for corporate loot, completely disregarding its impact on the people and ecology of the region. Over the last few years, several activists who have spoken out against this model of loot and destitution have been slapped with UAPA, framed with false charges and arrested. The present “left” government has only taken over from where the previous UDF government left. While there is a discourse over how Pinarayi Vijayan is similar to Modi when it comes to dissent and how they are perfect partners in governance; exemplified in the appointment of a Modi worshipping neo-liberal economist Prof. Gopinath as Economic Advisor to the Chief Minister, the rot runs deeper than that. 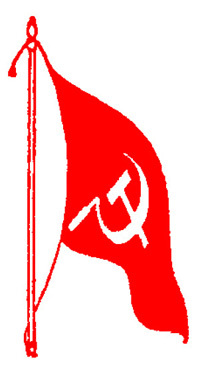 CPI (M) which now believes only in “reforming” and not overturning the semi feudal semi colonial exploitative structure shouts sky-piercing slogans when in opposition. But as soon as it comes to power, it becomes another stooge of a neo-liberal order funded by corporate loot and plunder. And to further this agenda, it resorts to police terror, fake encounters and political assassinations, sexual violence to eliminate those who fight for their land and livelihood and speak truth to power. We had seen this in Singur, Nandigram and Lalgarh during CPM’s bloody reign in West Bengal. Even in Kerala, it was a “left” government that way back in 1970 killed in cold blood Naxalite leader Varghese who was fighting against the feudal exploitation of adivasis in Wayanad, sentenced another militant activist Ajitha in 1968 to 9 years of solitary confinement in prison after parading her publicly post capture and subjecting her to brutal custodial torture. Today SFI cries hoarse about standing against Modi’s crackdown on dissenting voices (irrespective of their political differences). But its own government in Kerala just a few months back arrested three activists – Shanto Lal, Chathu and Gowri – and slapped them with UAPA charges for their “crime” of pasting posters calling for election boycott. Far from continuing the pretence of “leftism”, CPM should openly own up what it is now – a fringe group of the ruling establishment ever craving for a greater share of power by showing its ability in brutally lording over the oppressed. The “Communist” government in Kerala should not be under any illusion that they are going to douse the flames of resistance against the plunder through such eliminations of people’s leaders. It is a pity that the same party that attributed the loss of its activists in the famous Punnapra Vayalar uprising of 1946 in Travancore to the lack of military training of its cadres are now pointing guns at those who are carrying on the legacy of anti-feudal and anti-imperialist struggles. And thus it is not ironical that today while saluting the Cuban revolutionary leader Fidel Castro and the matrydom of those DYFI activists who lost lives in the Koothuparampu firing in Kerala in 1994, the ring leader of the Parliamentary Left finds its own hands soaked in blood, once again.